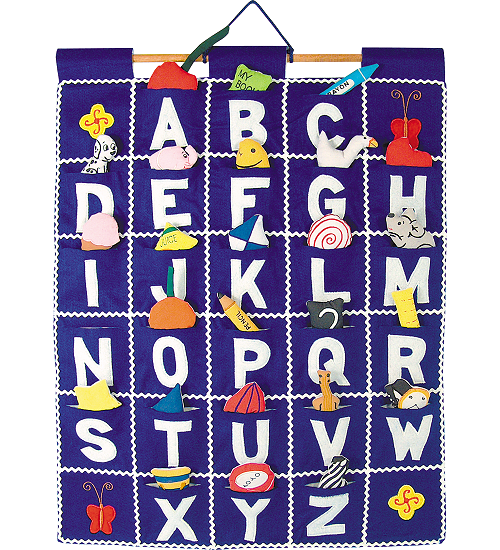 Children will delight in learning their ABCs with this ABC Wall Hanging by Pockets of Learning which comes complete with 26 hand-crafted pieces all corresponding to their individual letter pockets. This ABC Wall Hanging is a great addition to any child's room and an innovative idea for a baby shower or birthday party. 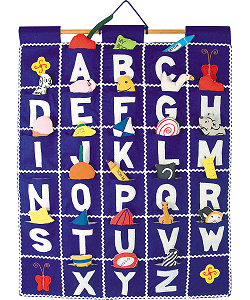 This adorable soft sculpture educational ABC wall hanging by Pockets of learning comes with fun cloth pieces to help make learning an interactive delight. This customizable ABC fabric wall art is a wonderful addition to any room as you focus on colors, drawing, learning or other fun theme.